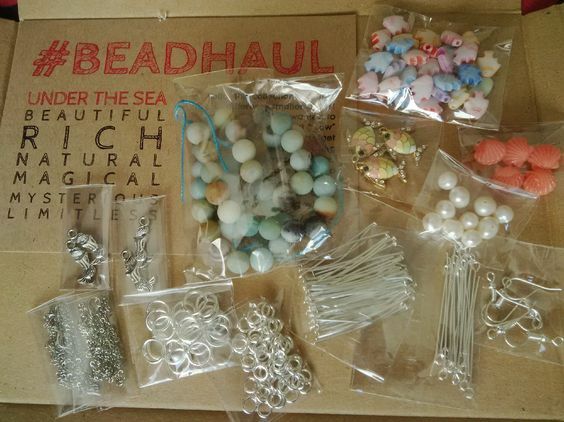 Back in April I signed up for a two-monthly bead subscription box called #Beadhaul. I'd just missed the April box, so I've been waiting a while. 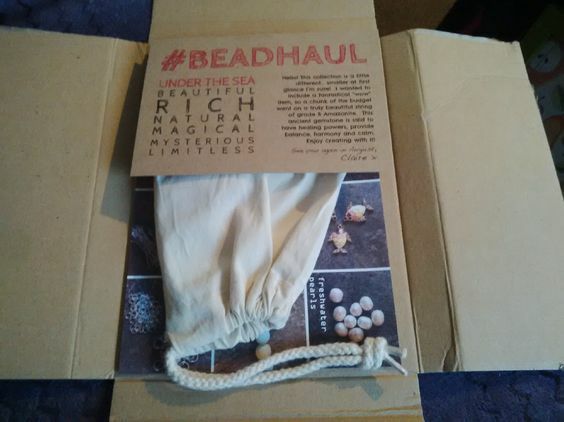 My first box arrived on Friday, and I was so tired after work I didn't even open it straight away. But when I did I was glad I'd signed up. There's some stuff in there I wouldn't buy myself (like the acrylic fishes) which is kind of the point, to break out of my comfort zone and keep me interested. The only question is what to do with it all! I'll keep you posted.